Life is too busy to find time for family and friends or even sometimes for yourself as well. There is no exception for the residents of Mokena, IL who are hardworking and enthusiastic to take their life to the next level. Keeping in mind such a busy lifestyle, Zeigler INFINITI of Orland Park SUV Showroom located Orland Park, IL serves as a one stop shop for all your INFINITI vehicle needs. Equipped with the state of the art technological features, Zeigler INFINITI Service Center is there to keep your existing car running like new on the road. 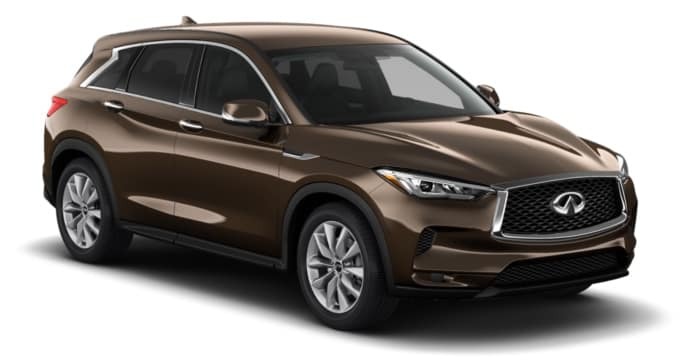 On the other hand, our Finance Department is always ready to bring the most suitable financing plan for the people of Mokena, IL to make them sit behind the wheel of their desired INFINITI SUV. We, at Zeigler INFINITI of Orland Park, welcome the residents of Mokena, IL to visit us and take your favorite INFINITI model for a test drive. Enjoy the thrilling experience today!